Chy Sila left his home when he was 18, and quit university when he was in his sophomore year in architecture. Now 45, he owns multiple businesses – spanning from food and beverage to service and entertainment sectors. 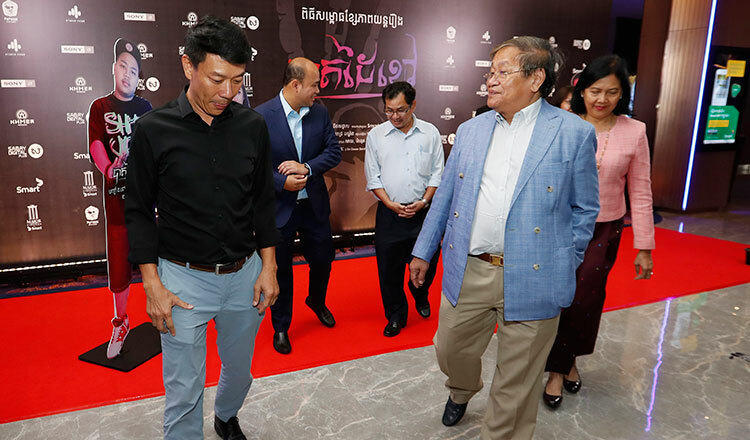 And he’s bound to do more as he just lately invested into IMAX Theatre, raising Cambodia’s cinema projection standards. He sits down with Khmer Times’ Chief Operating Officer Kay Kimsong and details how he got to where he is today. Good Times2: People know you because of the businesses you’ve established over the years, most especially in the entertainment industry. What made you decide to venture into this business? Chy Sila: People know me as ‘Sila, the digital entertainment guy’. I’ve focused on Sabay Digital Corporation, focused on digital media and entertainment. I’ve also invested in movie and cinema – our latest offering to the society. I am not saying that I’m certain of the success of my ventures or I really am qualified to run these businesses; there’s really so much to do. But obviously, I think in order to make business sustainable and to make it grow, you have to face many challenges. I and my team are still working on it, and we are working very hard. Good Times2: Was your family into business, too? Chy Sila: Not really. My mom was a journalist and my dad was not in business. Of course, having Chinese blood, we have some kind of entrepreneurial mindset in us. Many people think of an “entrepreneur” as a businessman. But to be an entrepreneur, one should understand how to benefit from a business. Good Times2: For people who have zero experience in business, what can they do to prosper in that field? Chy Sila: Nobody was born with the science of business already installed in his system. People are born like a blank piece of paper. You can put anything on it. My background was in architecture and I also loved to become a lawyer. But here I am; I ended up in business. What I’m saying is that anyone can be a businessman. It’s just like this: If you really want to be somebody, you need to put your mind into it. That’s important because that means you have goals. You know the saying, “you are what your think you are”? Your mindset will determine what your future will be. Good Times2: What do you think of Cambodia’s cinema scene? Chy Sila: In Cambodia, the movie industry has come and gone in the last few decades – late 80s, 90s, and early 2000s. 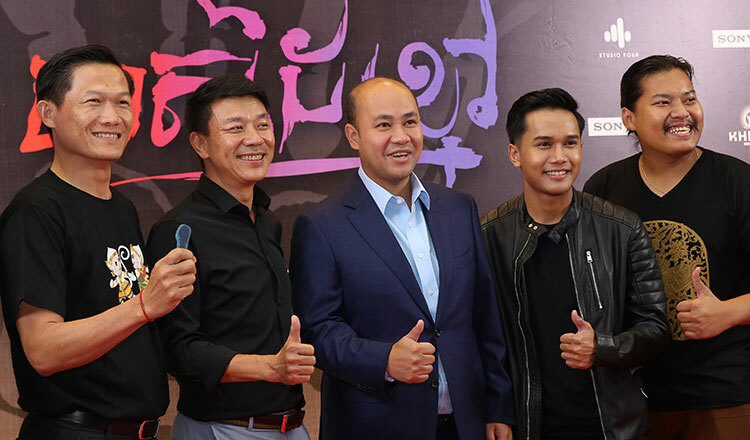 This is the third ‘comeback’ of the Cambodian film scene, I should say. We are still struggling in terms of letting the system work as a whole; and we still don’t yet know how to really make our own successful movies. But I am sure, one day it will come. If we talk about growth, I am sure that our industry is still in its early stage. We have many more things to do and prove. Right now, we have about 50 silver screens in the whole of Cambodia. I am sure that we can put up at least 200 cinemas or even more in the next three to five years. Good Times2: Is that in your plan? Chy Sila: I see the whole trend in Cambodia. I believe that if we really study the market, there are many cities and provinces that don’t have established cinemas yet. And if you also talk about online streaming or video animations, we’ve also entered into that field. Right now, we have Soyo movie app which enables people to watch videos for free. We have tough competitors from overseas and from local developers as well. And this, I would say, is a good thing because we are slowly educating people, letting their interest in movies grow. Those who do not watch movies are now starting to stream videos on their mobile gadgets. If they have a certain film that they like to watch, they choose either to go to the cinema or watch in in their phones. Cambodia is still on its early stage and it’s continuously growing. I personally don’t think online movie streaming has significantly affected our local cinemas yet. Good Times2: Your latest venture, IMAX, is considerably expensive with a $26 ticket price. Do you think people can afford it? Chy Sila: Well, obviously, we understand that the biggest spending power comes from the young who still get money from their parents. The young do not yet know how hard it is to make money. For us, we’re targeting young people who can afford our service. We know Cambodia still has a lot of challenges in bridging the gap between the rich and the poor. But this is happening around the world. And most businesses are focusing on the middle class. Cambodia, in all fairness, the number of middle-income families is growing and the gaps are becoming closer. We are getting there – income and status equality. But as a businessman, though I know that it may still take some years for that to happen, I need to do something now, to be the pioneer of things and products that have the potential to be big in the future. If we wait for that ‘future’ to come, it might be too late. 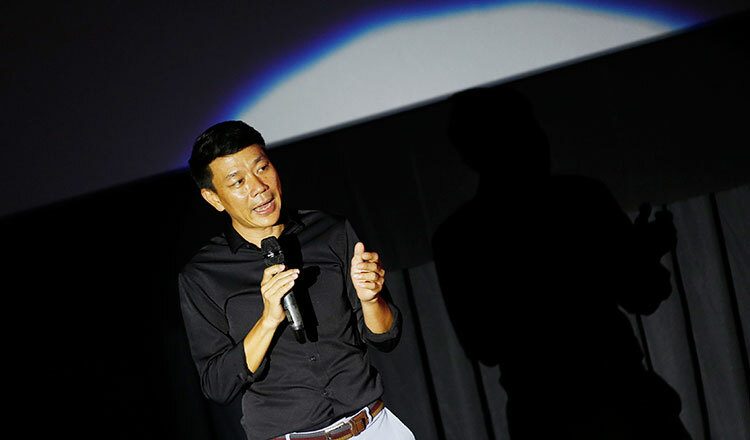 Good Times2: You seem to be confident in this expensive technology you’re introducing to Cambodian moviegoers. Why is that? Chy Sila: I have to stay that I definitely have confidence in the IMAX Theatre. Again, it doesn’t mean that I am expecting a hundred percent success. We know that we have to wait for few more years to see how this goes. But those who want to try this technology will really see the difference of the quality of the movie experience. Honestly, we were nervous during the opening at the Major Cineplex in Aeon Mall. But the result was unexpected, you know. A lot of people liked and enjoyed what this technology offered them. IMAX, I believe, will be accepted and appreciated by Cambodians because our people are very open to new things. Good Times2: 1960s and 1970s were called the golden era for the local film industry because of the quality of films produced. Can we bring that back again? Chy Sila: The movie industry is like the education system in our country. If you want to improve it, you need to know that it doesn’t change or improve overnight or in a year. It will take years and decades. It will need a lot of initiatives from relevant stakeholders – moviemakers, directors, government, and from the public. It needs the support of everyone. 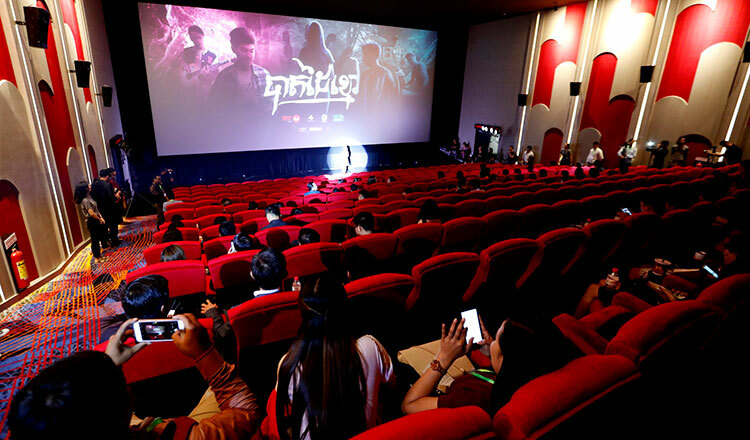 We’ve seen that not too many Cambodians are going to cinemas to watch movies. So this needs to be changed. And to encourage people to go to movie houses, we need to give them quality movie experience. Good Times2: Is there a platform for people involved in the film industry to talk about how to improve filmmaking and how to promote our culture on the silver screens? Chy Sila: We’ve had talks with people in the industry. We spoke with the concerned government ministries on how to help local filmmakers to create more quality films. We also lobbied to the Ministry of Finance about the lowering of entertainment taxes because they somehow hinder filmmakers from doing their crafts. But it all boils down to laws and regulations. “Law is law”, you know. There are some obstacles slowing down the process of filmmaking and film production. But I am sure we can have more talks about these kind of things to help everyone in the industry. I’d say that my role here is just small for this huge vision, but I will try my best to contribute something to the development of the local film industry.